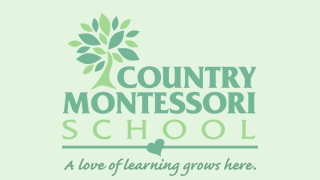 The CMS annual fundraising auction scheduled for April 22nd is quickly approaching and we are excited to begin our first campaign: call for donations for the “Classroom Baskets”. The attached flyer explains in more detail the items you can consider donating to help fill up our basket goals. We encourage gift card donations as well cash. If you purchase an item, please include the receipt in the event we get duplicates and need to make an exchange. An important note: each $20 donation is equal to (1) CMS volunteer hour, so take advantage of this great cause! You will receive a personal email from your Classroom Ambassador or Auction Basket Coordinator in the next week with more inspirational ideas. Our goal is to have all items received by Friday March 3rd. The baskets will then be auctioned at the fundraising event which again, will be at the CMS campus on April 22nd between 3 – 6pm. This event will be a great opportunity for meeting new families, mingling with the administration and teachers as well provide your children an opportunity to play and see their friends. We will have a fun program for the kids while you enjoy some fun adult time.